China’s smartphone market has fallen for the first time, with annual shipments down by 4% in 2017, according to data from research firm Canalys. The decline ends eight years’ growth in the world’s largest mobile phone market. 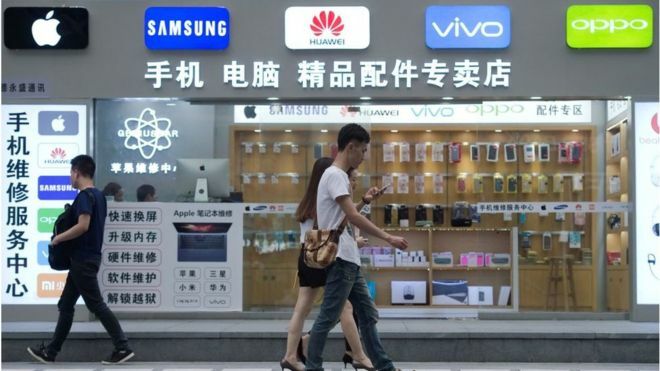 While consumers in big Chinese cities like Beijing and Shanghai see the latest iPhone and Galaxy devices as “must-have” handsets, people in rural areas couldn’t afford the hefty price tags and mostly stuck to basic feature phones.